Transaction Form. Communicate with your clients and with the parties involved in the transaction. Use your time efficiently and project professionalism, by keeping everyone posted on transaction progress. Transaction Form. Keep your deadlines organized. Inspection and due diligence deadlines should NEVER be missed! Negotiation deadlines being overlooked is a disservice to any client. Transaction Form. Convey all inspection reports, title reports, bids, and other documentation to the parties that need them. Collecting and dispersing vital information to enable a smooth transaction is key to smooth closings. Transaction Form. Keep all executed documents organized and forwarded to the right parties to the transaction. Transaction Form. Impress your Principal Broker. 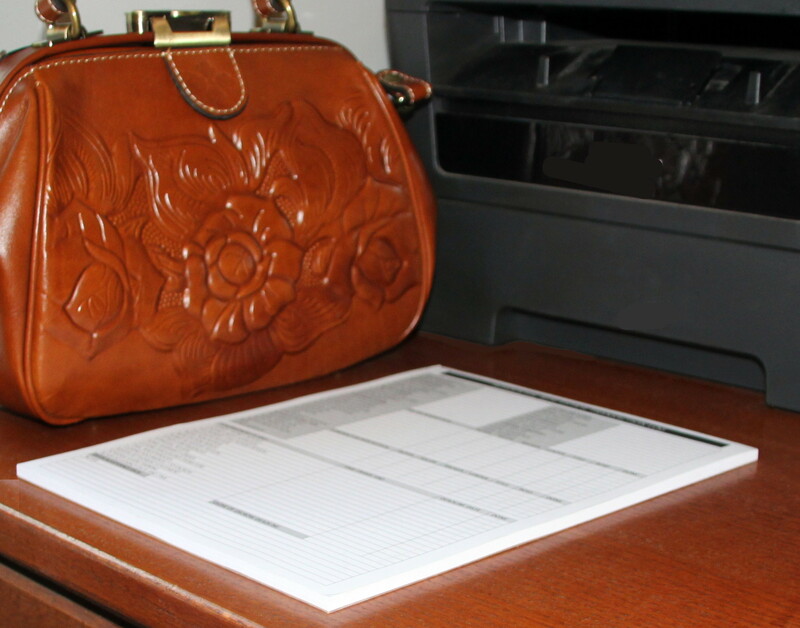 Submit all of your documents to your Principal Broker and make sure your file is complete at closing. Get your commission check quickly by keeping your Principal Broker’s file complete on all transactions. 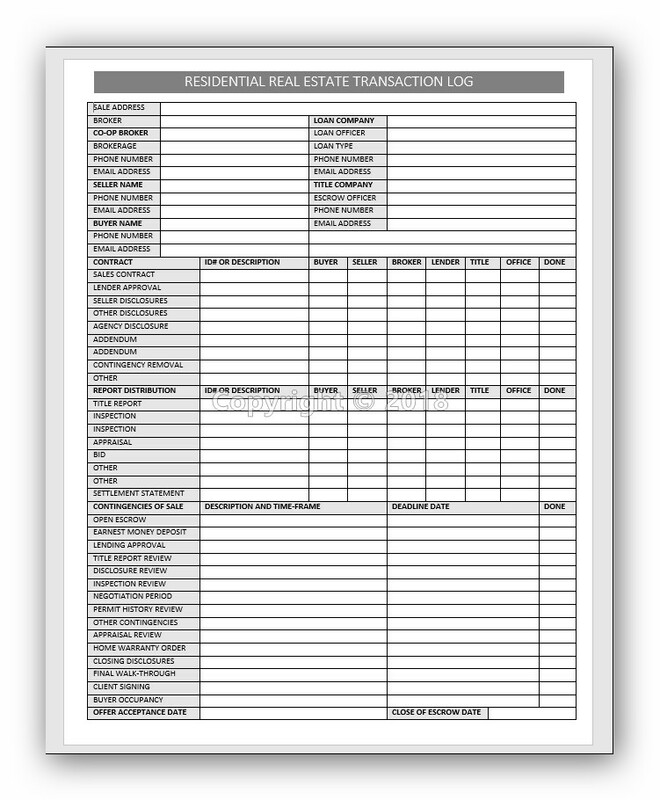 Residential Real Estate Transaction Log Form. 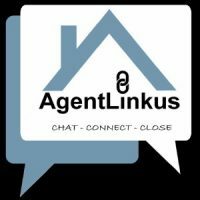 Be the Realtor that all Clients and Fellow Realtors LOVE to close transactions with! A Realtor must be organized and fully engaged in their active closings. Use this single page transaction log to track deadlines, inspection dates, negotiation deadlines, and collected reports and property information. Working with a Realtor who is disorganized and inefficient is a real obstacle to a successful transaction. Take control of your transactions and let your experience SHINE SHINE SHINE! If Busy Realtors are not organized, they will miss deadlines, overlook details, and forget inspections. If you have 1 or 25 transactions closing a month, teach yourself to NOT rely on your memory, to rely on a system! Realtors and Investors can both utilize this log to streamline their transactions and keep up with deadlines, inspections, contracts, reports and communication. Show others that you are a professional that can be relied on. Many Realtors underestimate the value of having a good reputation amongst fellow Realtors. An ideal transaction is when you get communication from a Broker throughout the transaction to update status and relay any concerns. Proudly Made in the USA!